Two more artist biographies I read recently, John James Audubon: The Making of an American by Richard Rhodes and From a High Place: A Life of Arshile Gorky by Matthew Spender (the husband of Gorky’s daughter). 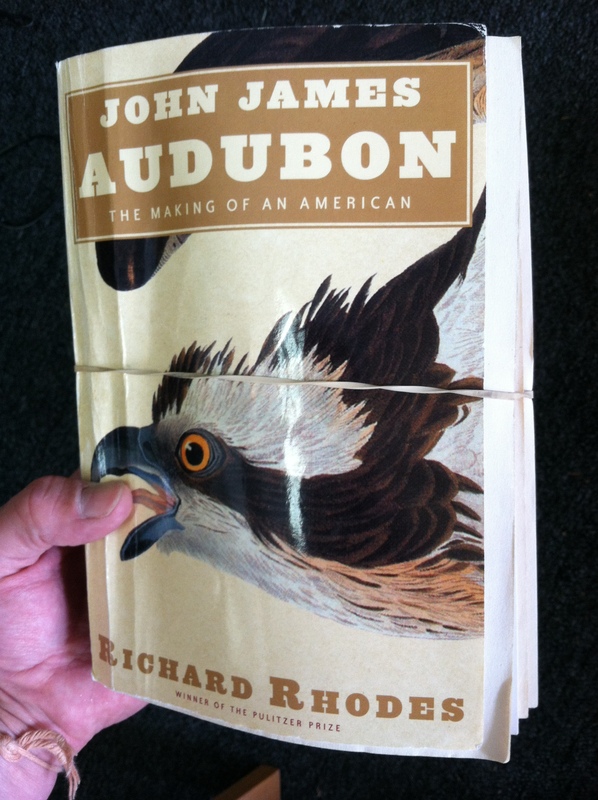 As you see above, the Audubon book seems to be bound with a low-tack adhesive similar to the glue used for Post-it notes. 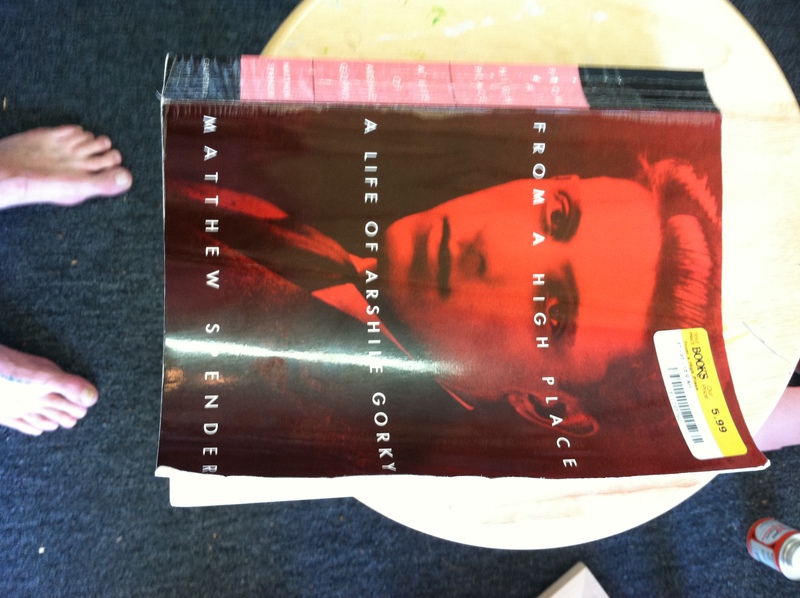 The Gorky book is nicely stitched. Although neither book is written particularly well, at least Rhodes refrains from asking the reader questions. Spender can’t resist: “Neither in behavior nor in conversation had this kind of machismo ever been part of his life. And what on earth could Jeanne, or anyone else, have done to attenuate it?” Spender even gets so excited he uses exclamation points: “David Burliuk, so Gorky told Mougouch with a laugh, had once come back with a painting the next day in order to have it signed!” Egads. And just finished Gerhard Richter: A Life in Painting by Dietmar Elger a few minutes ago. In a previous post I lamented the fact that there aren’t a lot of good biographies of contemporary artists. Here’s one. 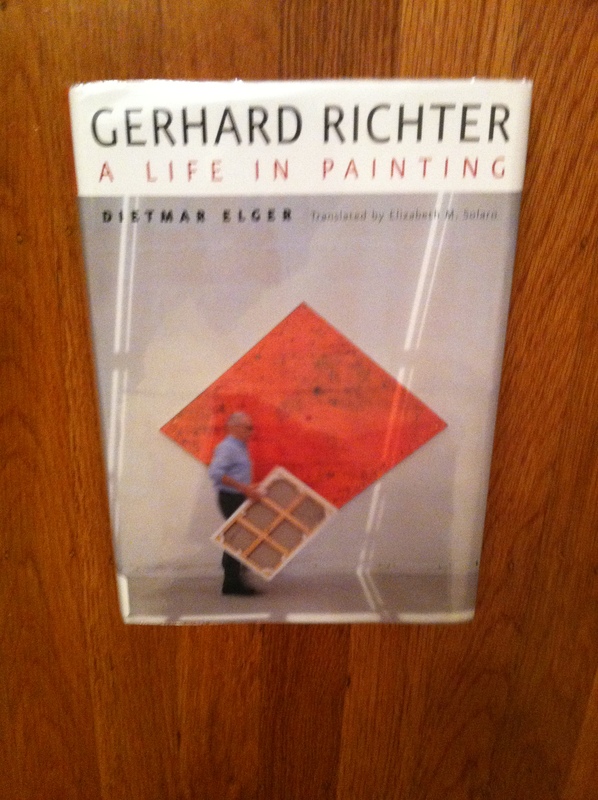 It’s low on gossip but is a fine introduction to Richter’s work.